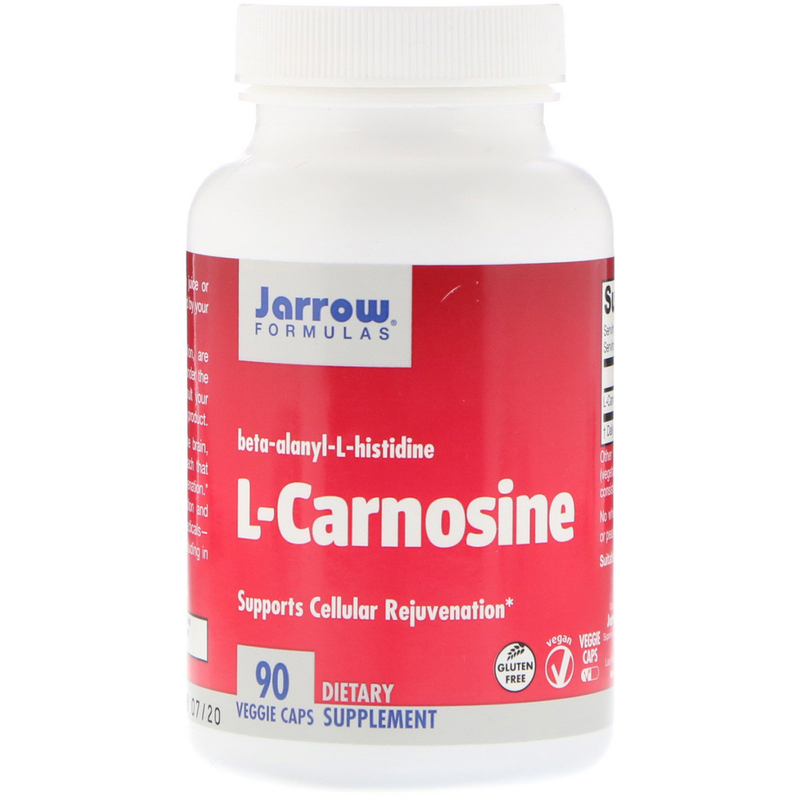 L-Carnosine is a dipeptide that is found in the brain, heart, skin, muscles, kidneys and stomach that supports healthy aging and cellular rejuvenation. 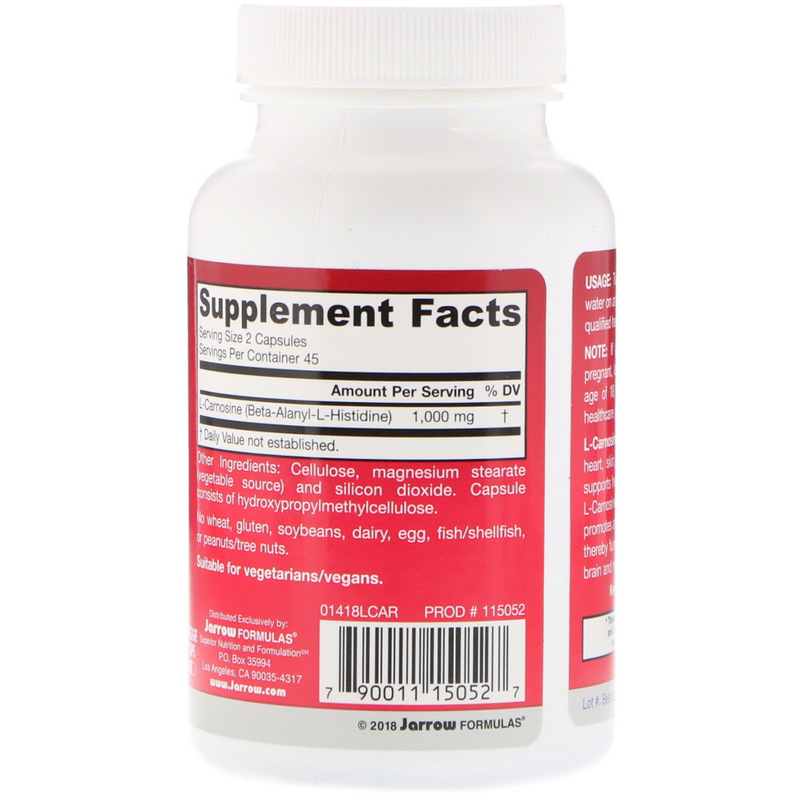 L-Carnosine optimizes healthy cell function and promotes anti-aging by neutralizing free radicals thereby functioning as an antioxidant, including in brain and nerve cells. Take 2 capsule per day with juice or water on an empty stomach or as directed by your qualified health care professional.